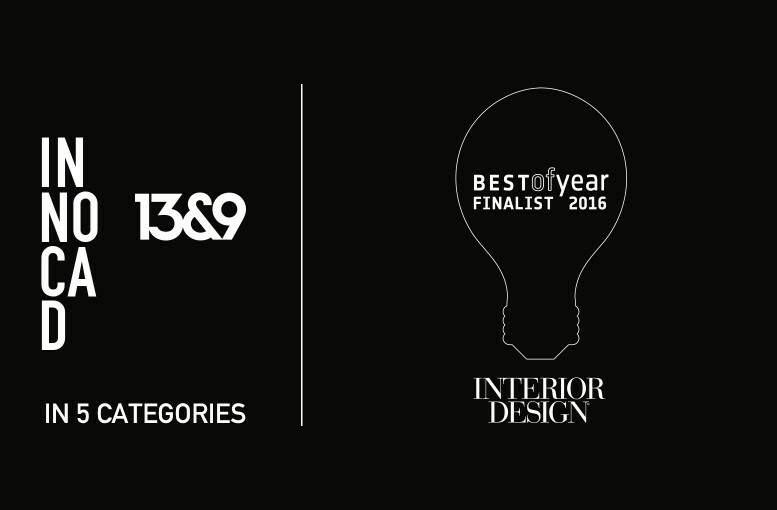 We are delighted to be finalists in five different categories for Interior Design Magazine´s BEST OF YEAR 2016 AWARDS. These areas include architecture and interior design for INNOCAD and product design for 13&9. The ceremony will be held on December 1st at Frank Gehry’s IAC Building in New York City. Interior Design’s Best of Year honors the most significant work of the year as well as recognizing designers, architects and manufacturers from around the globe. Now celebrating its 11th year, Interior Design’s Best of Year (affectionately known as BOY) has become the ultimate measure of excellence, showcasing what’s happening today in every category of design while simultaneously setting the design bar even higher for the future.